In today’s workforce teams are spread out all over the States. 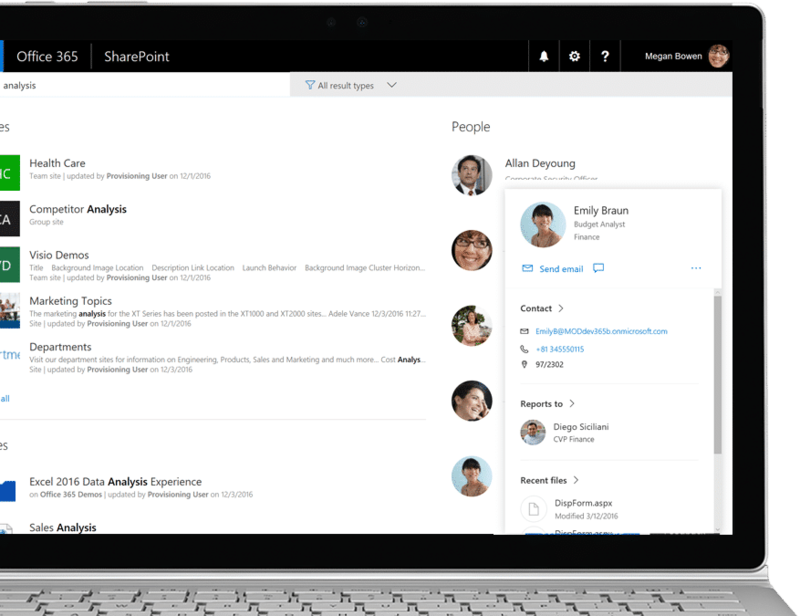 In order to stay in the know and discover relevant people and important content when you need it most, based on who you work with and what you work on, SharePoint should be your go to. Read on to discover how SharePoint can help. Search for and discover content when you need it most. 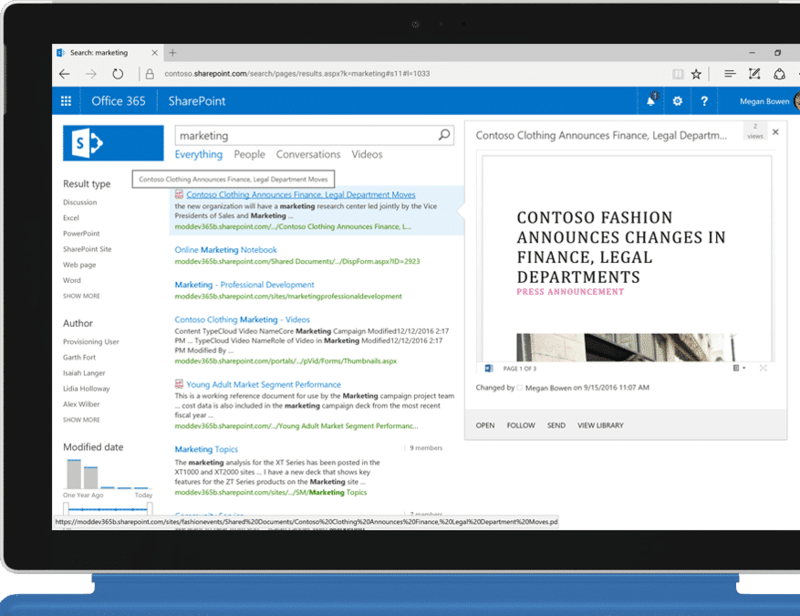 See real-timequery suggestions and get personalized results in sites, files, and people with full-text matches across Office 365. 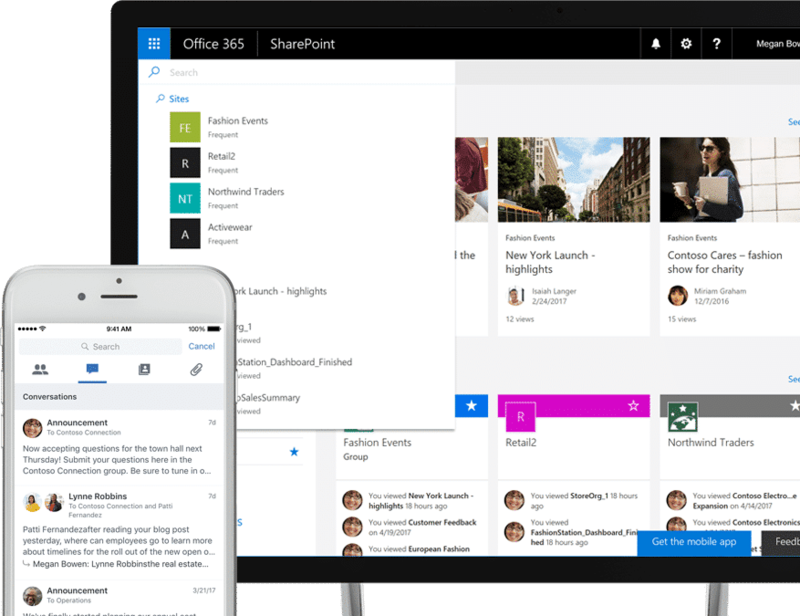 See personalized content that Delve surfaces to you from OneDrive, SharePoint, Yammer, and other sources. In Yammer, uncover conversations, groups, and people to leverage the knowledge of others.